Daikin mini cassette air conditioners are a compact 600mm x 600mm design for easy installation into grid and plaster ceiling. 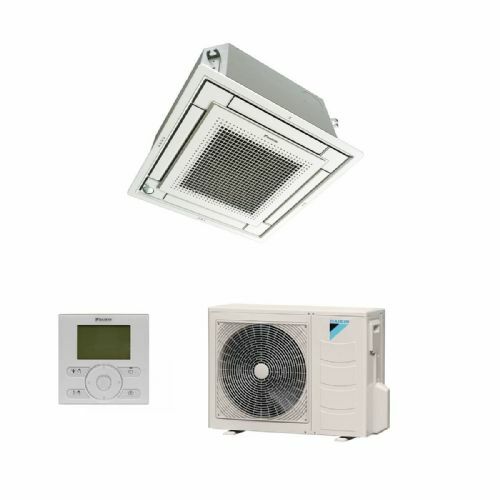 Daikin air conditioning cassette range lead the industry with their energy savings and wide model range. These indoor units are extremely quiet in operation, the sound levels are as low as 29.5 dB. The compact design makes them ideal for home, office or any commercial application.